Romantic. 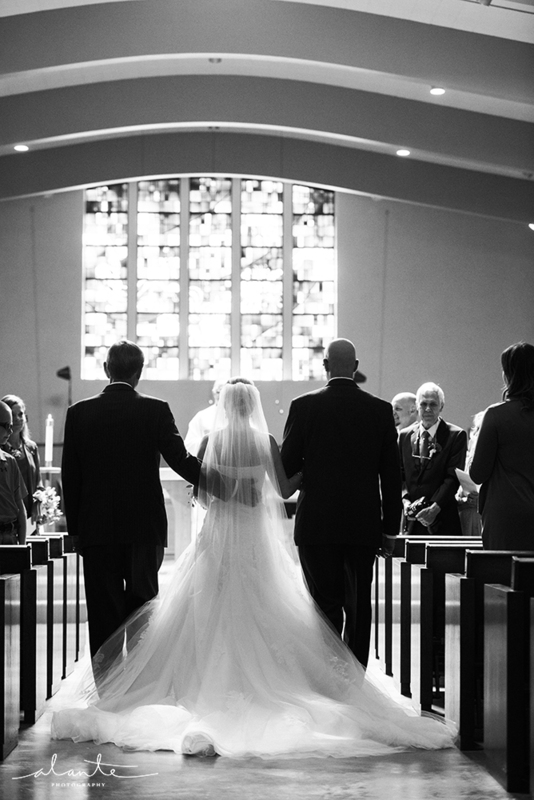 This first picture from the talented Alante Photography sets the tone in the Church...that dress! We kept the romantic feel at the reception but added in some rustic elements to the centerpieces for interest. 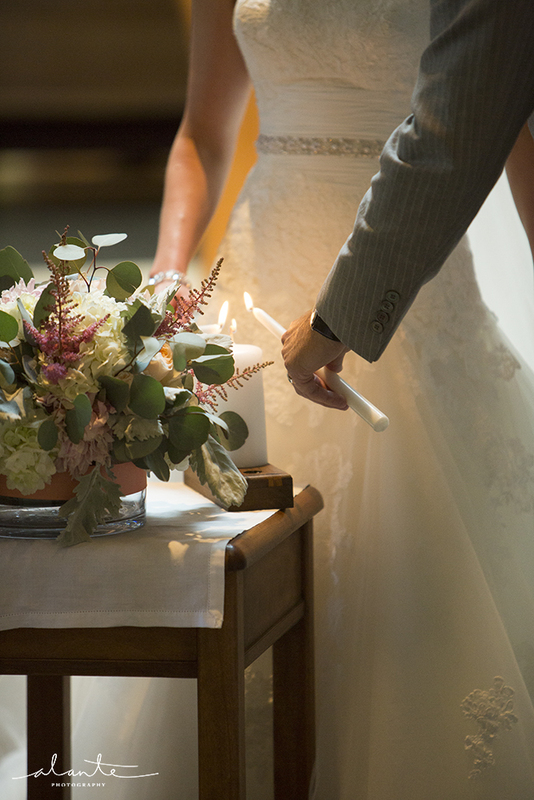 Simple wood rounds anchored the bouquets that had shades of peach, blush and greens with mercury glass votives that had succulents and candles. The bridesmaids dresses were so soft and flowing and looked amazing with the bouquets that were full of texture. What a gorgeous couple and an amazing Summer day at the Elliott Bay Marina. Love how everything came together from the bouquets, to gorgeous little cutting cake from the ladies at Baked. Cheers to the happy couple!! !